Soo i've been collecting beauty box samples, or travel size items for a while now putting them all aside for my holiday. Heres the skin care (& Hair) i've decided to take along with me. 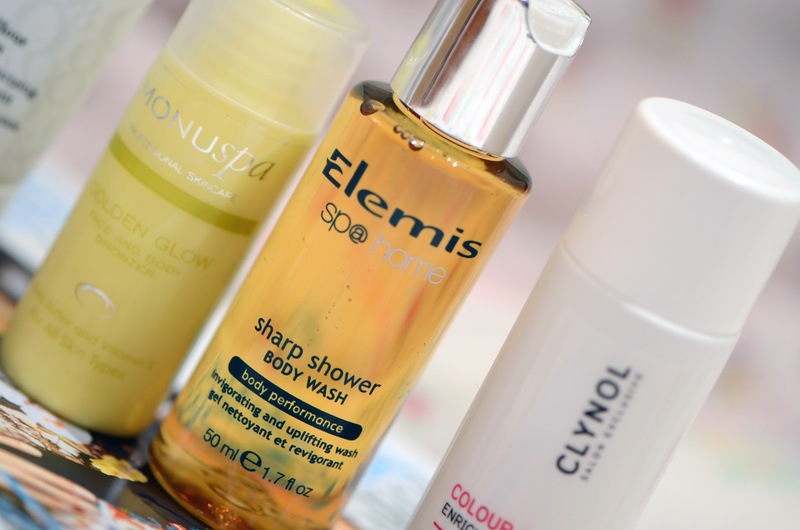 Elemis Sharp Shower - I havn't tried this yet, but it smells minty and invigorating, i have two of these travel sizes to take which i think will make a nice refreshing morning or cooling off shower. Monu Spa Golden Glow - This i received in a GlossyBox and delivers a self tan for the face and body. Although i hope to catch some actual sun, i don't mind cheating a bit either. Clynol Colour Care Shampoo - Another hand beauty box item, never tried this brand before, it aims to protect the hair against uv rays, which is what i need. 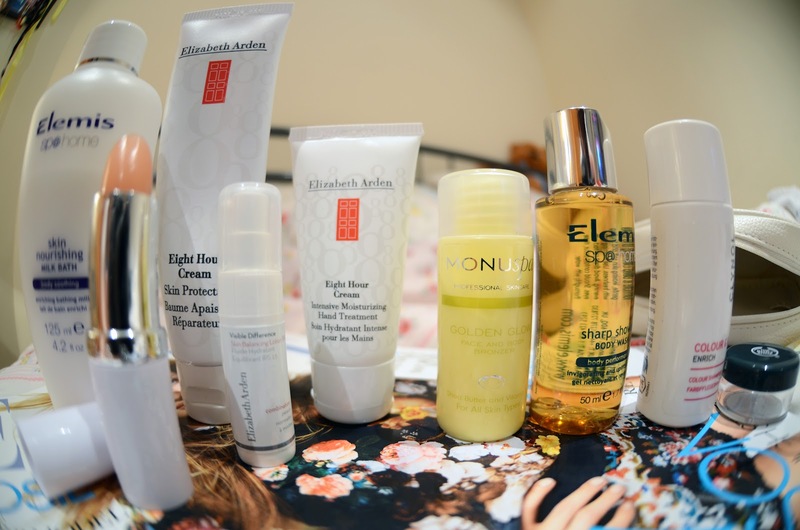 Elizabeth Arden - I have a few items to take with me, firstly my must have favourite Eight Hour Crcam, this is a perfect treatment for any nasties such as sun burn, irritations or dry skin. Something i'd repurchase again and again. 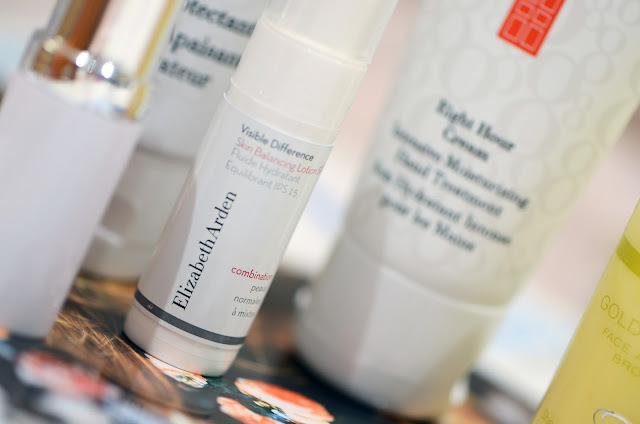 Visible Difference Skin Balancing Lotion - yet to try this new line to Elizbeth Arden and it has SPF 15 which is a must for any face moisturizer. I also have, the Hand Treatment and Eight Hour Lip Protectant - which has spf in great for protecting lips in the harsh sun. Finally i have an Elemis Milk Bath - My skin actually dislikes the sun and i have to be careful not to get it so irritated, this milk bath is perfect for a cooling bath or just to apply directly to ease any sun burn. I have a little sample pot from the body shop which i have yet to decide but to fill with a face mask to treat myself one evening.